As a nation, we rely upon pills to “fix” whatever it is that ails us — from heartburn to allergies, high blood pressure to arthritis, and insomnia to restless leg syndrome. 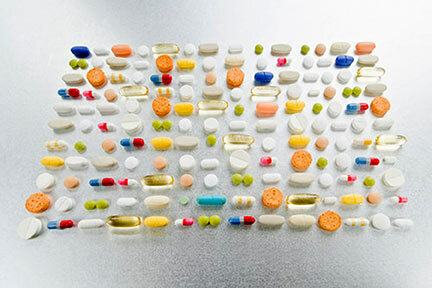 The drug companies invest billions of dollars into research each year, developing and marketing drugs for consumer use. Last year alone, the pharmaceutical industry invested some $12.6 billion in new drug development. And, historically, the amount invested in drug development has doubled every five years. This can be a good thing. Sometimes, however, the “push” by the manufacturer to get a drug onto the market can cause health problems for unknowing consumers, often much more serious than the ailment the drug was being used to treat in the first place. Tyler residents take prescription and over-the-counter drugs each day and suffer from a variety of unnecessary, drug-related side effects. It is in these situations that a Tyler drug recall attorney can help you. Over the past two decades, large pharmaceutical companies have put increasing pressure on the Food and Drug Administration (FDA) to grant approvals faster and to implement less stringent testing processes. Unfortunately, sometimes when the FDA approves a drug it is later discovered that it causes many more medical problems and harmful side effects than initially projected. In fact, Consumer Reports found that one out of every six Americans has experienced a prescription drug related side effect serious enough to require medical treatment in a hospital. Imagine if one out of every six of your friends or family members in Tyler, Texas were hospitalized due to adverse reactions to their medications! Occasionally, pharmaceutical companies end up recalling drugs when the side effects and complications are too dangerous or a batch is contaminated. The FDA Twitter Recall account Tweets all FDA recalls. Tyler recall drug lawyers are well aware of the special Texas Rule of Evidence 407(b) pertaining to recall evidence being used at trial. Other times, however, the drugs are never recalled at all. The result is that injuries and ailments both in Texas and across the country are commonplace and Tyler dangerous drug injuries are often overlooked. If you are a victim of a dangerous drug, contact an experienced Tyler drug injury attorney today for a consultation regarding your legal rights. Who brings Tyler, TX drug injury lawsuits? Obviously the injured person but, in severe cases where the drug or medical implant actually ended up killing your family member, a wrongful death fatal drug reaction may be filed in Tyler, Texas Smith County District Courts. and Smith County drug injury lawsuits cases are brought by persons when a dangerous drug causes them injury. Usually, the product is known to be potentially dangerous and is sold without a proper warning to the consumer. It does not matter if the drug is received via prescription or over-the-counter in a local Tyler area drugstore. If you or a loved one has suffered injury and you believe that a dangerous drug is to blame, contact a Tyler drug recall attorney today. What Drugs Have been Recalled by the FDA? If you feel that you have purchased a drug that may have some advisory notice issued by the FDA, enter the drug name in the below FDA Recalled Drug Search box below. If the drug shows up, contact a Tyler Dangerous Drug Lawyer immediately. What are the duties of a drug manufacturer or pharmaceutical company regarding the safety of their products? The obligation of a drug manufacturer is to make a safe product. This includes the obligation to design, manufacture, inspect, and label a drug appropriately. They must provide patients and physicians complete safety information about their product. If a drug manufacturer fails to warn the public about any serious side effects associated with taking its drugs and the drug is responsible for causing you harm, then the company can be held liable for medical expenses, therapy and treatment, lost income, and non-economic damages, such as pain and suffering. If you or a loved one has experienced a serious side effect as a result of an unreasonably dangerous drug, you are entitled to compensation from the manufacturer. Contact a local Tyler drug products liability attorney today. Drugs sold that tend to cause long term use, or withdrawal symptoms that occur when trying to reduce the dosage or quit using the drug altogether. A black box warning is a type of warning that appears on the package insert for prescription drugs that may cause serious adverse effects. It means that medical studies indicate that the drug carries a significant risk of serious or even life-threatening adverse effects. The FDA can require a pharmaceutical company to place a black box warning on the labeling of a prescription drug, or in literature describing it. It is the strongest warning that the FDA requires. These so-called “black box” warnings have even been placed on anti-depressants for children, since an alarming number of children have committed suicide while taking anti-depressants. Also, the FDA has supplied guidance on what should be included as to drug reactions, and how adverse reactions should be presented in drug warnings. A Tyler, TX drug recall lawyer can advise you on whether a proper warning is present on a drug you have taken and whether you may have a claim against the manufacturer. What are the ways Tyler, Texas, residents can bring lawsuits for Defective Drugs? As a group, through Multi-District Litigation. Also, Tyler lawyers may sue the pharmacy for misfilling a prescription. See below for more information on Tyler, Texas class action lawsuits and multi-district litigation suits involving dangerous drugs. Tyler drug recall attorneys are some of the best in the nation and are able to bring multi-district or class action lawsuits in defective drugs cases. Click here to read the Texas Products Liability Statute. Tyler Drug Class Actions are seen very rarely after a series of Texas Supreme Court rulings that placed obstacles in the way of certifying and winning a dangerous drug class action lawsuit. Additionally, the Texas Legislature adopted Chapter 26 of the Civil Practice & Remedies Code, which also places obstacles on the formation, or certification, of class actions. Finally, under President Bush, Congress passed the Class Action Fairness Act (CAFA) which is found in 28 U.S.C. 1332(d)(2), which severely tightened the availability of national class action lawsuits. However, in certain cases, a judge may certify a class action lawsuit, and this happens occasionally with defective drug lawsuits. If you believe a defective drug has injured you, contact a Tyler class action drug recall attorney today. If an MDL has been formed pertaining to a drug that you took and from which you may have suffered adverse effects, it is essential that you retain a lawyer that actively practices in Federal Court and is familiar with the very specialized practice in MDL. Tyler products liability attorneys are experienced in handling MDL and complex class actions lawsuits. Who may be Liable for a Drug Injury? The designer, manufacturer, and others involved in the chain of commerce, including the distribution of the products that caused the injury or illness, can be held liable for injuries and illnesses caused by the defective drug. 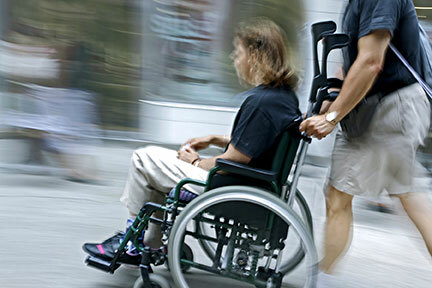 Tyler drug injury lawyers will identify and pursue claims against all potentially liable parties. If you or a loved one has been injured or has fallen ill due to what you believe is a defective drug product, do not delay in seeking immediate medical attention, as prompt diagnosis and treatment may help to avoid irreparable damage. It is also important to take immediate legal action, as restrictive Statutes of Limitations can prevent you from collecting the compensation to which you are entitled. For more information, contact one of the skilled Tyler defective drug litigation attorneys listed at the top of this page. 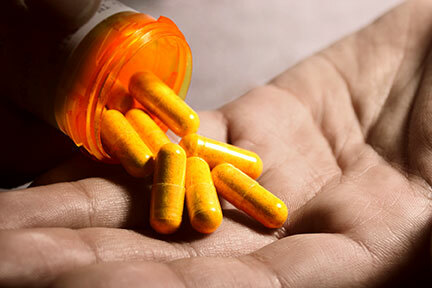 How can a Tyler Drug Recall Attorney help you? An experienced lawyer can help you recover the money you deserve. Texas law limits the amount of time you have to file a lawsuit under something known as a Statute of Limitations. After the applicable time period has passed, you may be legally barred from exercising your rights. In Texas, the limitations period is two (2) years from the date that the cause of action accrues, which is usually the time of injury. If you or a loved one has experienced a severe adverse reaction to a prescription or over-the-counter drug, it is in your best interest to contact a Tyler personal injury drug attorney who will fight to get you the settlement you deserve. Successful defective drug litigation sends a clear message to the pharmaceutical industry about accountability and consumer safety. A qualified defective drug lawyer can uncover all of your legal rights and discuss your litigation options with you. Texas Spine & Joint Hospital, LTD. Serving clients throughout Eastern Texas, including Arp, Ben Wheeler, Brownsboro, Bullard, Carroll, Chandler, Douglas, Edom, Flint, Ganado, Garden Valley, Grand Saline, Hawkins, Henderson, Hideaway, Jacksonville, Kilgore, Leagueville, Lindale, Longview, Mineola, Moore Station, Mt. Sylvan, Murchison, New Chapel Hill, Noonday, Overton, Selman City, Sinclair City, Swan, Troup, Whitehouse, Winona, Wright City and other communities in Smith County. Don’t be a victim any longer. Contact a Smith County personal injury attorney today for a FREE INITIAL CONSULTATION.